Our charity CRM is highly flexible and can be configured and extended as required in order to meet the specific needs of your organisation. Below are some of the modules we provide, any of which can be added to your system at any time. The key component in our charity CRM is recording contacts with clients / service users. These contacts can take the form of new referrals, updates on outstanding actions for clients, external referrals and signposting, providing publications and so on. Each time a contact is recorded, it is added to the client's history. Additional contacts for the same referral can be recorded. This means that each referral can have its own activity associated with it, allowing better views of the client history and also better reporting, providing numbers of referrals as well as numbers of contacts. Time and travel can also be recorded easily using the Charitylog charity management software. It is also possible to produce invoices for time and travel if the need arises. The contact recording process can be applied to other people as well as clients, such as volunteers or staff. An example of this might be where you run a volunteer recruitment project and have to record the journey from initial contact to final acceptance as a volunteer. All contacts can be given Classification Codes. Charitylog also has an option which allows you to start with an anonymous client and enter information as it is gleaned from the client. The charity database software will show you any clients in the database that match the client's details, making it easier to match up people to their online record. The client can remain as anonymous if required. It is possible to define a flexible range of minimum data entry requirements - this helps to ensure that you capture the details needed for reporting back to funders. The Action List can show all outstanding actions (or incomplete referrals) for the organisation and/or particular staff members. It can also show all the contacts that have taken place, giving an instant overview of activity in the organisation. As an invaluable tool in this charity cloud service, many organisations use their Action List to manage their daily work. Similarly, it provides a simple means of passing jobs from one person in the organisation to another. The Action List is highly configurable and can provide a wide range of 'views' of the data. You can save these views so that you build up a range of frequently requested results. Activities such as benefit claims tend to use a standard process. There is a system of "Templates" in our charity CRM which are perfect for time saving during such tasks. These provide the basic information about particular kinds of enquiries or events, leaving only the important detail to be keyed in. Similarly, the stages needed to manage the work can be created, allowing reporting of intervals between events. This cuts down the administration time and makes it more practical to record your events as they happen. An important part of the implementation process is to consider the 'workflow' or processes that are followed when referrals into specific projects are made. This simplifies the process of operating the system. Charitylog's charity management software allows the setup of "Organisations". These can be people or bodies which carry out certain types of work, or provide services, or they could be GP surgeries, Advice Bureaux or any other organisation which is in some way involved in the service provided by your charity. They can also be organisations that make referrals to your organisation, or that you refer to. It is important to note that you can also link client GDPR consent options to the ability to create these external referrals in the system – if the consent has not been provided, Charitylog will not allow the external referral to be entered. You can also set up a directory structure, which would represent the "local directory" of services and indicate which organisations provide which services. Many charities produce booklets listing all these organisations and they quickly become out of date, but with the "cloud" nature of Charitylog you always have the latest information to hand. Charitylog includes a section on Information which allows all these external bodies to be grouped and searched for. For example, it would be very simple to obtain a list of local builders with skills in roofing or local agencies involved in making wills. A letter/information sheet for an individual client can be produced, based on some or all of the organisations providing certain services. It is also possible to report on the numbers of these "signposts" provided for reporting to service commissioners. Every organisation differs in regards to the information they need to store against their clients and their actions. There are hundreds of standard fields provided with each Charitylog instance, and even some specialist fields like NHS number, DBS number and National Insurance number. However, we acknowledge that our clients will always need to define their own fields to cater for their own very specific organisational needs. The Extension Database feature allows you to add your own custom fields to your Charitylog system. Create your own "databases" (or tables, like in an Access database) with unlimited fields, or augment your own fields with your existing organisation records, referrals or Clubs & Clinics. This module gives you a wide range of familiar field types such as text input, datepicker, rich text, dropdown list and radio buttons, as well as more complex options like dependent fields that change according to the options selected. Validation rules and other requirements can be applied to all fields. Extension Databases are fully reportable and have proved to be an essential addition to the Charitylog setup. Organisations that support carers tend to have different requirements. This usually includes some information about the "cared fors", as well as different reporting needs. Charitylog has additional features to support these organisations. The "cared fors" can be recorded and associated with their carers. Charitylog allows you to have multiple cared fors, multiple carers and carers who care for each other, and thus carers who are also a cared for. There are some carer specific reports which provide breakdowns of carers by the usual parameters, but also breakdowns by some of the characteristics of the cared fors. Assessments and measurement of the change achieved by carers as a result of the efforts of the carer organisation are becoming increasingly topical. We can deal with the Adult Carers Quality of Life Questionnaire, as well as the Young Carers assessments. These are interesting because they have positive and negative scoring embedded in a single assessment. Currently we are working with a number of carer organisations to provide an informative reporting mechanism for these assessments. One of the major benefits of Charitylog is the ability to produce data required by funders. Typically this data can change both between contracts and over time. Charitylog provides a number of standard reports, both summary and detailed. There are also the Key Performance Indicator reports which are basically a huge set of queries which have been written for you – no need to write your own queries for reporting. For more detailed reporting, there is an export procedure which can be used to create Excel spreadsheets, from which further analysis and charting can be done very simply. Charitylog will hold details of many clients, volunteers, external organisation and so on. You can use the Data Extraction options to set various criteria and extract all the relevant records along with the items of data you are interested in. Similarly you can use these options to identify records which have not been fully completed (although there are methods to enforce minimum data entry). Typically the data is exported into Excel from where further analysis, presentation or mail-merging can take place. There is a built-in mail merge facility, which is an extension of the data extraction option. The records which have been selected can be merged into document templates in Charitylog for mass mailings or emailing. The body of the documents can have data items merged into them when the letter is produced. These mail-merge selections can be saved and run as often as required. Scanned documents, spreadsheets and images can be uploaded to Charitylog, making such information more widely available across your organisation, as well as keeping them more secure. The uploaded documents can be associated with specific referrals and downloaded from the History page. User and/or Group-level security can be applied to each document to ensure that confidential documents are visible only to those staff nominated to see them. Reporting requirements can be many, varied and are often complex. Charitylog has built up a large library of queries. These are used to assemble the data required to fill in the funders' reporting forms. The KPI queries can break down into a wide range of criteria, for example, new referrals to a project by age band, ethnic group, gender etc. You just select the KPI's you want by ticking them. The report itself shows the numbers of each requested item of information. You can then "drill down" into each of these numbers to see which individual clients make up the total. Once that is done, you can export them to Excel, write letters to them or even plot them on maps. Having exported to Excel, you can make use of the simple processes of pivot tables and graphical charting - very impressive in reports to funders and all done in a matter of a few minutes. produce reports of referrals, membership, attendance, money collected etc. It is possible to send text reminders to attendees and receive the responses. This needs the TextAnywhere add-on. The reports provide details of numbers of clients assigned to the various clubs as well as a history of individual attendances. 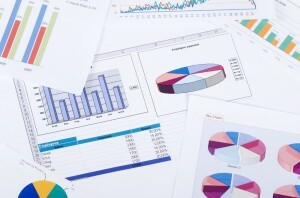 Reports and KPI's are also available giving numbers of referrals by referrer. You can create a varied set of rates to cover different charging mechanisms, enabling invoices to be produced for clients or their budget holders. Projects are used to reflect the services you provide and are also strongly linked to the reporting options, giving a high degree of control over what information you can provide to commissioners and funders. In the full Charitylog system, you can make up as many projects as required (Charitylog Local has only 1 by default). When linked with the Template and Stages options, you can use the system to define and monitor the established processes or workflows you may carry out to provide a particular service. These make use of the system easier by removing some of the typing necessary as well as providing structure. Linked to this, there are reports which provide information about numbers of people at certain stages, or not yet at certain stages, and also, importantly, how long it takes to get from stage to stage. Each contact is allocated against a project, as are the volunteer job card entries and staff timesheets. In this way it is possible to audit and report on the time spent on each project and how many client events are related to that project. 'Key Performance Indicator' reporting is designed to report on many aspects of one or more projects. Traditionally this information can be difficult to collate, but Charitylog collects it as a by-product of its everyday use. To see what staff or volunteer time has been allocated against a project, simply click on the accumulated time entry in the Project List and the relevant job cards or timesheets will be displayed. As client Outcomes are recorded, it is possible to provide information on monetary values achieved, for example how many successful ESA or PIP claims have been made and what the value of these claims was. You can use projects on all types of People or Organisations you record in Charitylog. Therefore you could have a volunteer recruitment project, associated with volunteers, which records and manages the processes a volunteer might go through from first contact, references and DBS checks to recruitment and training. Similarly staff reviews could be managed, or even compliments and complaints. There is the usual user and group level security which controls visibility. Most organisations operate Charitylog as if there is only one office or branch. However, there are increasing instances of back office mergers between organisations, where the administration operations and the central database are merged but the offices retain their individual identity. The question that then arises is how to report on individual branches, how to make clients visible only to the staff in their own "office", how to make sure the relevant things happen in each discrete office? Charitylog systems can be "branched" where needed. This means that you can set up as many branches as you need, along with "views", which are effectively groups of branches. When a user logs in, they can choose from a list of their allocated branches. The system then shows them only the clients in the branch, only those projects run by the branch, only those clubs and groups belonging to the branch and so on. Any user is allowed access to any number of the branches as specified by the system administrator. Increasingly, the branch approach is being used for collaborations of organisations where funding has been achieved to provide a specific service which is provided by a group of affiliated organisations. This makes the standardisation of the structure and reporting easier although there are inevitable decisions to be made about areas such as ownership and visibility of data. When running reports and KPI queries, it is possible to look at one branch or any number of branches. This means that in larger organisations, you can see, for example, how the branches in the West are performing compared with those in the East, or how those doing certain types of work compare with those doing other things. Charitylog has a comprehensive and flexible invoicing system for Handypersons, Support Workers (Rostering), Club & Clinic attendances and also time spent on activities where charges are made. Invoicing in the third sector tends to be more complex than in the commercial world because different people or organisations often pay for some or all elements of a job. For example, in a Handyperson job, the Fire Brigade may pay for a smoke alarm while the client pays for the labour. Charitylog has a powerful concept using "Rates" attached to projects to define what charges are made, who has to pay, whether VAT is charged and also includes Nominal Codes and Customer Accounts Codes. These rates also allow for travel time, mileage and administration charges to be made. In the Rostering and Clubs and Clinics, various charges for cancellation or non-attendance can also be applied. This means that once the invoices have been created in Charitylog, they can be exported to an accounts system, such as Sage Line 50 or Access Accounts. Similarly, support worker gross wages can be exported. The (optional) Handyperson module provides a comprehensive method of recording referrals, allocating people to the jobs and recording what was done. The system allows the allocation of as many job cards as necessary to a referral, and each job card can deal with multiple jobs being done. 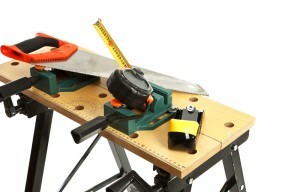 The time spent on the various parts of the job and any materials used may also be entered. When combined with the travelling time and the payment or donations received from the clients, it is possible to produce a financial "profit and loss" for each job undertaken. It is possible to produce invoices for the client or for funders of the scheme (or both). Invoices may be printed for the relevant parties. Nominal codes, VAT rates and Cost Centres may be used to create the necessary information to export into an accounting system. There is a section to record the Outcome of the referral, whether the client was satisfied and any notes which should be recorded. While the referral is going through its stages, the system will automatically generate reminder actions, which will show in the Action List, to ensure that nothing is forgotten. The reports are also comprehensive - the results, whether physical or financial, can be summarised by a wide range of criteria, such as time, who the referral originated from, geographical district and so on. A wide range of KPI's are also available. It is also possible to export the reports directly to an Excel spreadsheet for incorporation into a report for funders. Charitylog has a module devoted to the management of Support Workers or Rostering as it is sometimes known. Apart from holding the usual information about Support Workers, their skills and their unavailabilities, you can create Support Plans for clients. The Support Plan details the services that are to be provided to a client by Support Workers. The Support Worker may be assigned at this stage, or later. Once the Support Plan has been set up, you can create the actual assignments - that is, which Support Workers are going to do what work on which days. Graphical calendars can also be used to quickly provide an overview of work and reschedule appointments. You can use 'drag and drop' to adjust the plan, for example if a worker becomes unavailable. Importantly, if you are using the Google Maps option, you can see travel time between assignments on the calendar which provides much needed help to the planning and re-arranging process. There are search facilities to make it easier to find carers for clients. You can print a wide variety of timesheets to give to workers and when the work is completed, the Support Workers will come back with them filled in. These can be entered on Charitylog, including travelling time, mileage and expenses. You can then create invoices for the work done, or produce cash receipts. There are the usual reports to provide information about activity, time spent and so on. Charitylog provides the ability to match Support Workers with their clients. Users can select certain criteria and Charitylog will find the nearest match including displaying the geographical location of all the Support Workers in the area. Support Workers and Clients can be displayed on a map, giving a graphical representation of their whereabouts. You can also apply filters, for example to prevent clients with cats being matched with a worker who is allergic to cats. Call-round is a mobile phone app which can be provided to the workers. When the plans are confirmed, these jobs are made visible on each workers phone, along with the option to get directions or contact the client. Typically the worker will scan a QR code at the address to confirm arrival and tasks can be recorded as completed. When the worker leaves, the QR code is scanned again. This confirms both the start and end times of the job as well as the latitude/longitude of the location. There is a live link back to the Charitylog system so the administrator can see jobs have been started and ended and also the calendar view updates in real time to show progress. You can define a set of alerts which can warn administrators of late jobs etc. As well as providing the indications of travel time on the calendars, you can use Google Mapping to calculate travel time and mileage for the workers. This can be linked to various payment rules, such as not paying travel to the first job. Combined with the use of Call-round, this can provide a high level of automation, cutting out the need for timesheets to be produced, keyed into the system and also travel time recording. Outcomes are an increasingly important aspect of recording and measuring benefits achieved through various projects being delivered or managed. There are more and more instances of funding being won on the back of being able to provide such Outcome information. Charitylog allows you to create "Ladder" Outcomes in groups, with main headings and multiple subheadings which can be assigned scores. The Ladder Outcomes can be linked to particular projects, so different projects can have as many sets of these Ladder Outcomes as required. Similarly, each Outcome can have only one record or multiple records. The reports include the ability to identify change over a period, when multiple sets of outcomes have been entered. 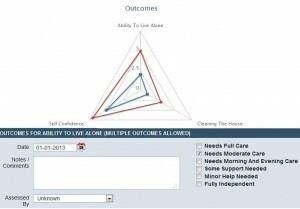 You can also use Triangle's Star Outcomes within Charitylog, although certain licencing requirements have to be met. Volunteers can be assigned to individual clients. When looking for a volunteer, the system will bring up a list of volunteers and allow this list to be searched for the volunteers matching the general requirements of the client. When allocating a volunteer, the system shows what other work he/she is already committed to, making the selection of volunteers easier. Once assigned, a job card is automatically created. Times used can be allocated to the job card, allowing an automatic build up of the total volunteer time spent on a project and on a client. 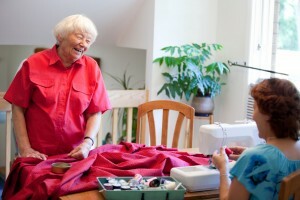 The volunteer may be continually re-assigned to the same client for ongoing activities such as Befriending. This builds into a Volunteer Diary showing the assignments, making it easier to keep track of which volunteers are allocated to which clients, when they are due to go next, as well as a history of their visits. Clients may also be placed on a waiting list for a volunteer. Equipment allocated to volunteers can be recorded. Changes to records are audited so System Admins can track when records have been updated and by whom. You will want to be assured that your data is safe; so we have taken steps to secure your data, such as regular independent penetration testing. To ensure your protection, we comply fully with the Data Protection Act 1998; Charitylog is accredited to ISO27001 Information Security Standard and is registered with the Information Commissioners Office. We also have Cyber Essentials accreditation, which is reviewed and audited annually. We are also accredited to ISO9001 International Quality Management Standard. In addition, Charitylog is fully web based, which means that no information is held on your local computers, servers and laptops. The data is held in a highly secure data centre in the UK operated by Rackspace, who are also accredited to ISO27001 Information Security Standard and are one of the most respected data centre operators in the world. As the information is never stored on your premises you are also protected from losses through fire, flooding, burglary or equipment breakdown. Each piece of information is accessed through rigorous security systems which make sure only the right people get to see each piece of information. You can control which items of data can be seen by which users - a fundamental requirement when meeting your GDPR compliance standards. When accessing Charitylog, you do so using SSL, the standard encryption process which protects data in transmission from the server to your computer.